Finding a dependable lawn and landscape company in the area can be a difficult task. Since 1963, Molloy Lawn & Landscape has been the areas trusted landscape maintenance company. With over 50 years of experience, we know lawns! Why should you choose us over one of the many other Lawn & Landscape service providers out there? Here is our Top Ten list. If you still have any questions or concerns, by all means, call us and discuss your needs with a trained professional who can help you choose the right steps to develop the lawn or landscape of your dreams. We are always happy to share our knowledge and help you. 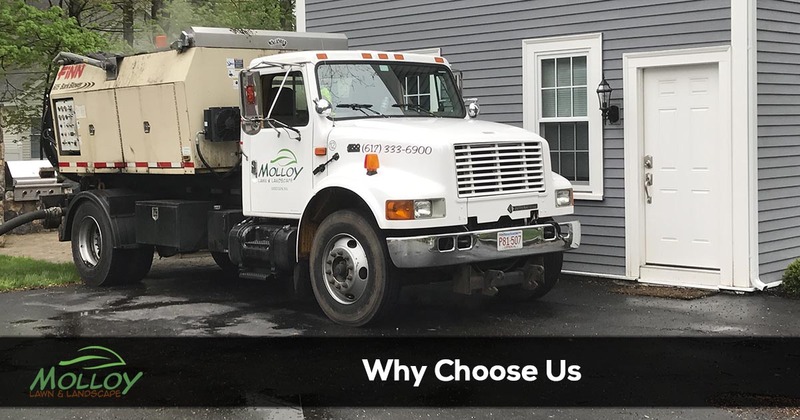 Whether you simply need a mow, or would like a complete renovation, Molloy Lawn & Landscape has you covered!